Click below to view photos from a tour of our plant or contact us to schedule an in person visit. Welcome to Dyersville Die Cast! We begin our tour with a bar of aluminum. Most of our die casting is done using one of seven different aluminum alloys all tested to ensure the best quality. Once we have ensured the aluminum is up to our standards, we use the die to create the part. Our customers either bring us a pre-fabricated die or drawings for the die they need and we create a die for them. Our customers always own their own dies. The aluminum is heated up using a furnace attached to the machine and poured via a robotic arm into the shot sleeve. With the aluminum in the shot sleeve, a shot rod is then fired into the die to push the metal up into the die where it will solidify. 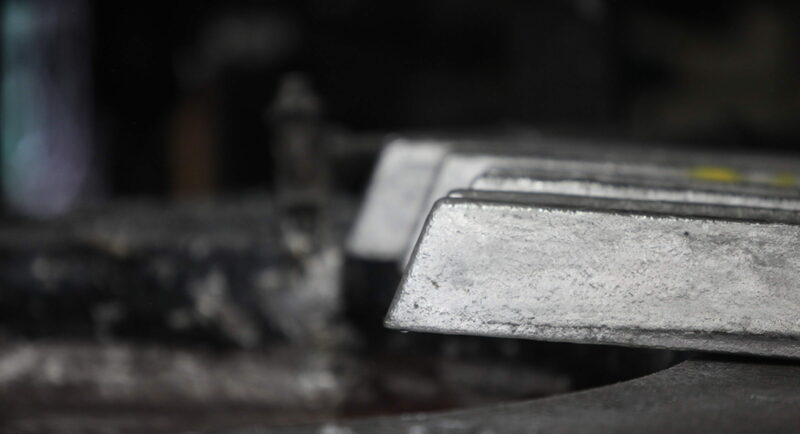 Once the part has hardened it is removed from the machine and the die is sprayed to ensure the parts are removed easily and the die remains a consistent temperature. Once the part has cooled the excess metal including the biscuit (where the rod pushed the metal into the die) is trimmed off using the trim press at the end of the machine. The scrap metal is then fed back into the furnace to be melted down again and reused. From there the parts are spot inspected and then sent to our quality lab for testing. In our quality lab, our parts undergo rigorous testing to ensure that they meet our customer's high standards. Our quality technicians are highly skilled and adept at both measuring and keeping an eye out for details. It is common to just test the first and last shots of a run but we like to test parts in between as well to ensure EVERY part you get is high quality. After the part has been deemed exceptional, it is sent off to numerous secondary operations such as lathe milling. Some parts need additional work such as holes drilled or sides milled. We can do it all. Most of our parts will go through multiple processes so we design our CNC machines to be able to do many different operations at once. Another secondary operation a part may undergo is a vibratory bowl to rough up the part's surface to prepare it for other purposes. In the vibratory bowl the part is tossed around with different sized rocks to rough up the surface. Before being painted the parts must go through a five stage washer so that the surface is cleaned and prepped. Finally our parts reach our multi story powder coat paint line. After these parts are painted they will be packaged and shipped to our customers! We have spray guns on all sides to ensure even paint is distributed throughout. Our operators are standing by to catch any missed spots. Our dies are built to withstand over 1000 runs but when they start to run down we are there to fix them back up. In our maintenance shop, we fix any number of problems such as broken pins. Our Maintenance technicians are highly skilled repairmen. While we don't have a lot of welding opportunities, from time to time welding is necessary for die maintenance. We pride ourselves on staying up to date with the latest technologies. Throughout everything we do here, safety is our biggest concern. We do everything we can to ensure our workers understand and follow current OSHA regulations. There's nothing we enjoy more than seeing our employees grow within the company. We provide ongoing training and career pathing for our employees. We are always on the look out for the brightest minds in any field! Fill out an application today! 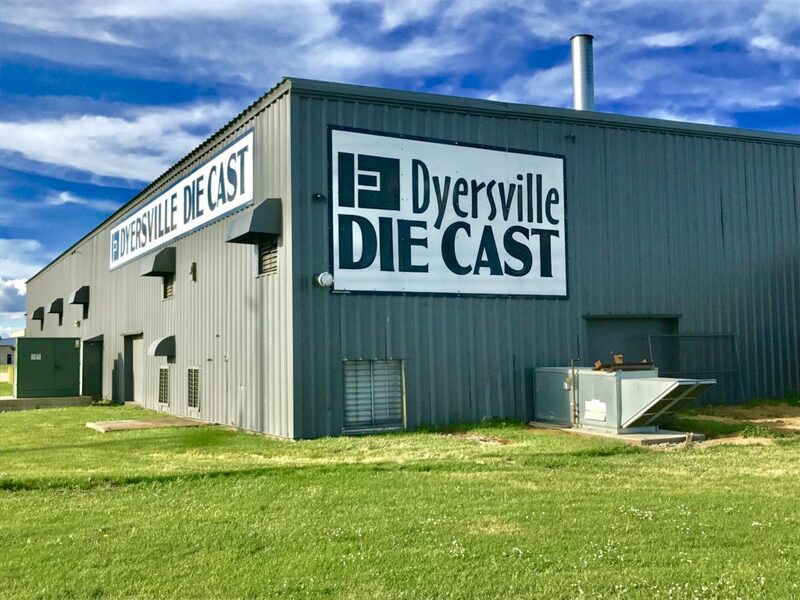 At Dyersville Die Cast, we employee people with a strong work ethic who take chances and show initiative. If you think you have what it takes and are ready to grow your potential and your career, take a look at our current openings.